An asset to agriculturists, environmentalists, climate change specialists, policy makers, and research scholars, Climate Change Effect on Crop Productivity provides relevant information and opportunities for productive engagement and discussion among government negotiators, experts, stakeholders, and others concerned about climate change and agriculture. Dr. Rakesh Singh Sengar is the associate professor, Department of Agriculture Biotechnology, College of Agriculture in Sardar Vallabhbhai Patel University of Agriculture and Technology, Meerut. Dr. Sengar has 19 years of teaching, research, and extension experience to his credit. He has published more than 48 research papers, contributed 105 abstracts/papers to different conferences/symposiums/workshops organised at national and internationalforums, published 780 popular articles in Hindi and English languages in important journals and magazines, and four books. Dr. Sengar is the recipient of the ‘Best writer’ award from Vishwa Agro Marketing and Communication, as well as a number of other awards. Kalpana Sengar, is the youngest recipient of the Women Scientist Fellowship award given by the Department of Science and Technology, Government of India. She has eight years of research experience to her credit in biotechnology. She completed her MSc in biotechnology at the CCS University and her PhD from MJP Roheilkhand University and is working as a women scientist at Sardar Vallabhbhai Patel University of Agriculture andTechnology. She has published more than 20 papers in reputed national and international journals and presented papers in several conferences. Her research interests are in agriculture, human nutrition, biotechnology, and plant tissue culture. 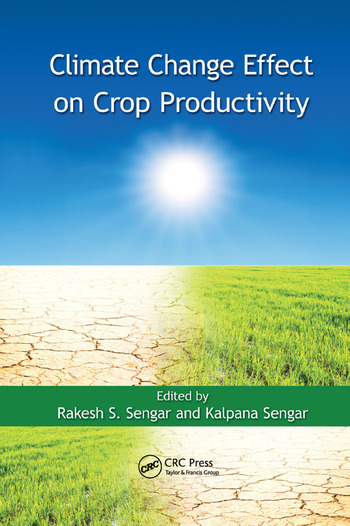 "This book, comprised of contributions by leading scientists and professors, explores the state of current agriculture production and the potential ways that climate change will affect yield. The authors link climate change to socioeconomics by considering the effect of decreased crop production on hunger. They take a global perspective and this book will be a valuable opportunity to stimulate discussion between governments, stakeholders and scientists."